Shape the places where we live, work and play, with a Master of Resource and Environmental Planning. Become a top-quality planning professional with Massey’s Master of Resource and Environmental Planning. This postgraduate qualification is accredited by the New Zealand Planning Institute. It will give you practice-focused assessment, field trips and guest speakers to develop or hone the skills you’ll need as a professional planner. As a planner, you could work in a diverse range of workplaces. You’ll get perspectives on both the natural and urban environment, making you a well-rounded professional capable of working anywhere. There’s a strong emphasis on developing critical skills that will ensure you can respond to the rapid change in our political, urban and resource environments. The knowledge and skills you develop will help future-proof your career. Massey’s Master of Resource and Environmental Planning has been accredited by the New Zealand Planning Institute for more than 35 years. This qualification is recognised internationally. You’ll learn from staff who are planning practitioners and leaders in their chosen research fields. The Master of Resource and Environmental Planning is the only accredited planning degree you can do wherever you live. You can study in block mode and by distance learning using Massey’s online learning platform, Stream. Most students complete their degree while in the workplace. This reduces the financial strain of making a career change. As part of my Planning degree I undertook research on how planners can support Māori in re-establishing and sustaining Māori mara kai as part of New Zealand’s cultural heritage. I believe that developing indigenous gardens as a community resource will enable Māori to continue spiritual and cultural practices through growing traditional crops. I was the recipient of a $10,000 Whanui Agricultural Scholarship by the Te Putea Whakatupu Trust and the Federation of Māori Authorities for my project. 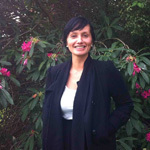 Māori gardening is significant to Māori development and is viewed as a pathway for Māori to reconnect with their customary traditions and contribute to cultural advancement. It’s imbued with Māori cultural, spiritual and environmental values and customary practices. It is my hope that my research will help to identify and resolve existing planning barriers to setting up food gardens, and that councils and communities will embrace the concept because of the many benefits for Māori communities. Since graduating from Massey, I have secured a policy planner position at the Wairoa District Council. My plans for the future are to contribute to planning solutions and policy that ensures protection of the New Zealand environment and the relationship between tangata whenua and our environmental taonga and heritage.